So the Summer is here and the kids are starting to have fun outside in the garden, now what better way to sit and watch them play than from a hot tub, or for them to have fun themselves in the spa. Inflatable hot tubs are perfect for the whole family, be it the parents or kids they are ideal for all. 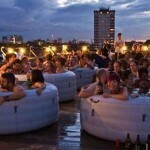 Inflatable hot tubs are very safe to enjoy, easy to get into and simple to turn on and off. When buying an inflatable Jacuzzi for your family the main thing to consider is size. Where will it go? This is about ensuring you have the space for it be it on your patio or lawn, if you place it on your lawn it will squash and kill your grass within that area so be warned. These spas comes with a long power cable so you should be ok in terms of getting to a power socket as long as you are not at the far end of the garden. How will it be used? By this we mean how many people, kids etc at one time, will it just be the kids or adults in it, will it be the whole family, 2 adults plus 2-3 kids maybe? Is it just for kids? If it is just for kids then the smallest hot tub on the market would be perfect, if it is for kids and adults then you may want something a little bigger. 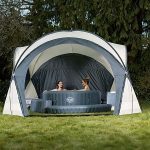 You can see reviews on a full range of inflatable hot tubs on our site, however we have rounded up a few below that are worth considering and that will suit all families depending on your needs and requirements. At just 180cm wide the Lay-Z-Spa Miami Inflatable Hot Tub Spa is perfect for kids and all for under £300. The smallest and cheapest inflatable hot tub we know is on the market and perfect for families, great fun for kids and is fantastic value. 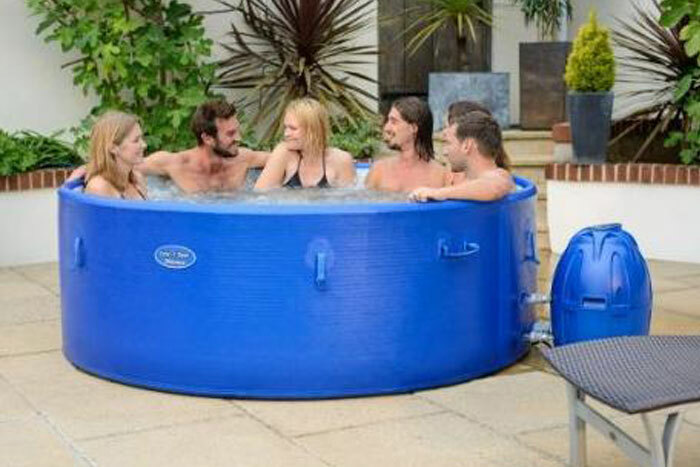 At just under £350 on Amazon this hot tub is great for the whole family, bigger than the Miami spa giving a little bit more room and space to relax and enjoy. Check out our 5 star rating in our review here, we certainly thing this is a great all-rounder. 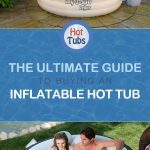 If you want a hot tub for the summer that can be used for the whole family or garden parties then you will want the largest inflatable hot tub you can get so that it holds as many people as possible. 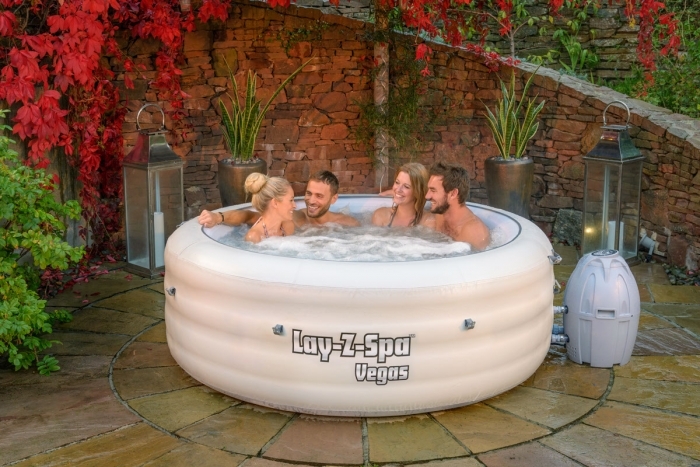 When it comes to the largest on the market then the Lay-Z-Spa Monaco is the one to check out. This hot tub is suitable for up to 8 people while still having everything you need and would want from a traditional spa. With the larger size this hot tub has a stronger structure making it more robust when getting in and out, while also still being very quick and easy to set up. The Lay-Z-Spa Monaco is 201cm wide, and has 86 air jets built into it. This hot tub spa will heat up to 40 degrees and comes with everything you need to get it going. It is quick and easy to set up, you can then fill the hot tub with tap water and power up the heating pump to warm it up. Once heated the pump will ensure the temperature is maintained. With the larger size of this hot tub it is ideal for kids parties, adults and friends, or the whole family. If you have the space for this and just want a hot tub that is a bit more spacious then this is great for couples too, or just a family of 4. 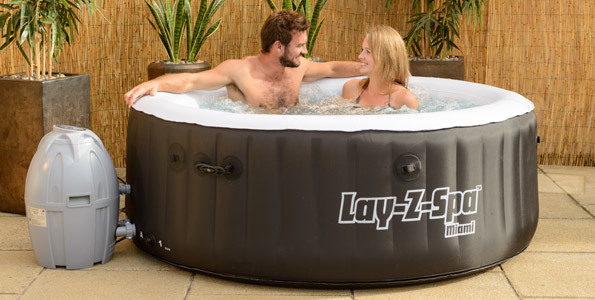 You can view other inflatable hot tubs from Lay-Z-Spa here.